Timber Press is devoted to sharing the wonders of the natural world by publishing books from experts in the fields of gardening, horticulture, and natural history. Founded in 1978, Timber Press is internationally recognized as the leading gardening publisher. Its books and authors have received awards from the American Horticultural Society, the Garden Writers of America, the Garden Media Guild, and the National Garden Club of America. Some of Timber’s bestselling classics include Michael Dirr’s Encyclopedia of Trees and Shrubs, Bringing Nature Home by Douglas Tallamy, Tracy DiSabato-Aust’s The Well-Tended Perennial Garden, and Marta McDowell’s Beatrix Potter’s Gardening Life. Timber Press joined the Workman family in 2006. The Timber office is located in Portland, Oregon, a city filled with natural wonders. Nature Play at Home gives parents and caregivers the tools to make outdoor adventures possible in their homes, schools, and neighborhoods. 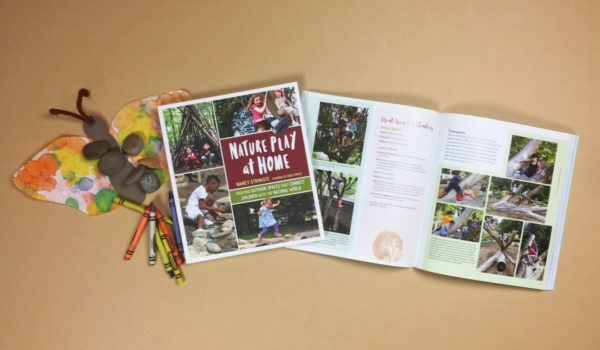 With hundreds of inspiring ideas and 12 illustrated, step-by-step projects, this hardworking book details how to create playspaces that use natural materials—like logs, boulders, sand, water, and plants of all kinds—to bring unrestricted outdoor play to a new generation of children.